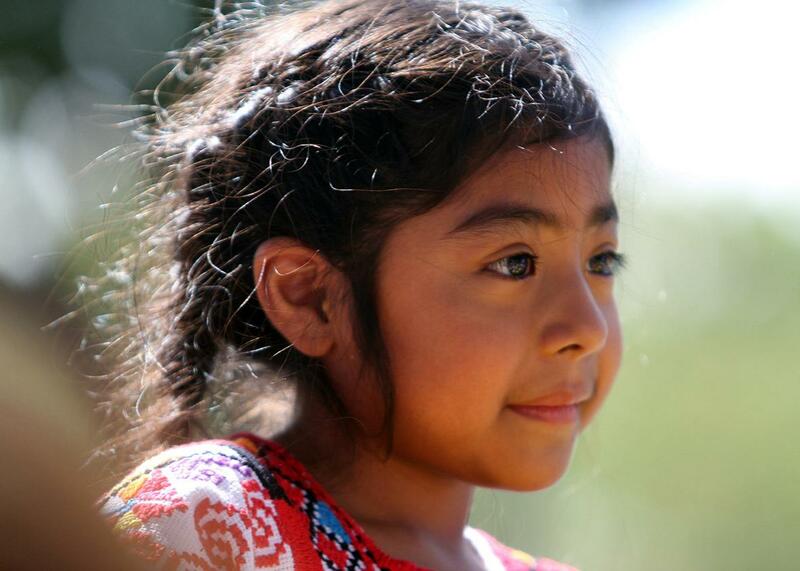 Sophie Cruz letter to Pope Francis: 5-year-old makes eloquent, emotional case for immigration reform. Sophie Cruz after she broke through security and approached Pope Francis during a parade in Washington, D.C., on Sept. 23, 2015. As the pope traveled from the White House to St. Matthew’s Cathedral along the National Mall on Wednesday, a little girl evaded what the New York Times called “one of the largest mobilizations of security officers in American history,” made her way past the barricades separating the pope from the crowds, and got the pope’s attention. Pope Francis stopped the parade and beckoned her to approach. She then gave him a T-shirt and a letter, and got a blessing and a hug in return. 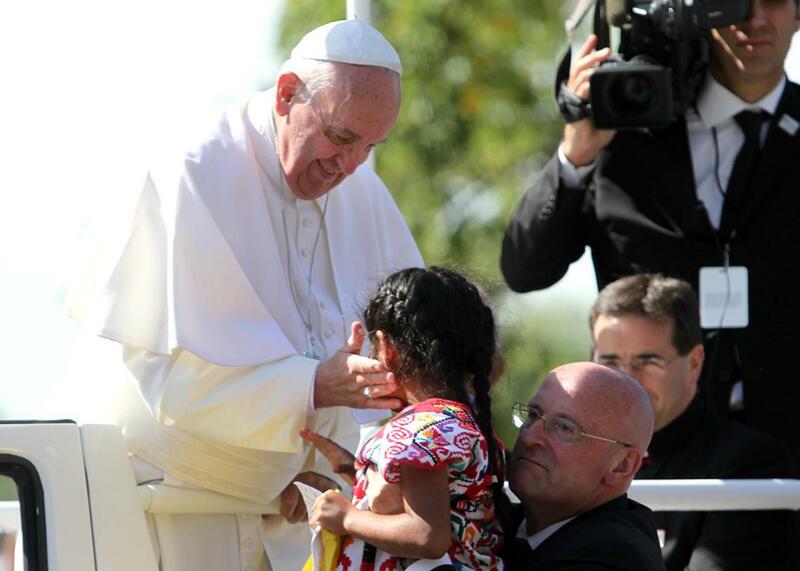 The little girl’s name is Sophie Cruz, an American-born citizen whose parents were born in Tuxtepec, Oaxaca, in Mexico, and then immigrated illegally to the U.S. She lives in Los Angeles, in what she calls “the heart of agriculture.” She traveled to see the pope with an immigration activist group, the Catholic Delegation for Reform. Pope Francis, I want to tell you that my heart is very sad, because I’m scared that one day ICE is going to deport my parents. I have a right to live with my parents. I have a right to be happy. My dad works very hard in a factory galvanizing metals. Immigrants like my dad feed this country. They therefore deserve to live with dignity, they deserve to be respected, they deserve immigration reform, because it would be beneficial to my country, and because they have earned it working very hard, picking oranges, onions, watermelons, spinach, lettuce, and many other vegetables. Don’t forget about us the children, or about those who suffer because they’re not with their parents because of war, because of violence, because of hunger.